Shop our pre-owned vehicle specials for sale in the Greeley at Ft. Collins area. Get a great deal on a used car, truck, or SUV when you choose one of our 5 used vehicles on special discount. Our rotating inventory of used vehicle offers often includes AWD vehicles perfect for mountainous driving. Find the affordable used vehicle for you below. In addition to featuring used car specials every month, we help you estimate your payments and get the best price possible for your used vehicle. Used car dealerships are more secure than buying from private sellers on craigslist. Used car dealerships handle all paperwork and title transfers for you — private sellers do not. 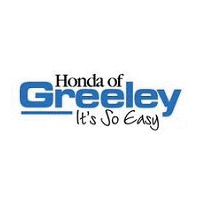 Used car dealerships like Honda of Greeley provide service and warranties on vehicles, which, obviously, Craigslist car sellers do not.